Showing 2 digits number on spike abacus helps the children to understand the concept of numbers. Numbers from 10 to 99 are 2 digits number; we can use beads to show these numbers on spike abacus. 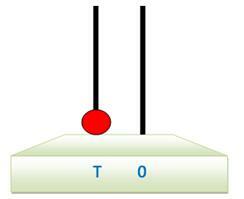 In ones or unit place there is no beads that represents 0 and in tens place there is only one bead that represents 1. We know that the spike abacus represents the number where the digits are represented by the spikes of the abacus. 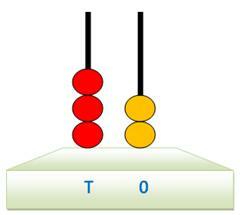 In ones or unit place there are two beads that represents 2 and in tens place there are three beads that represents 3. We know that the spike abacus represents the number where the digits are represented by the spikes of the abacus.